The financial services industry faces a daunting task as the European Commission’s MiFID II legislation draws close to its final deadline, and grave concerns about inconsistencies in the rules and the pressures of meeting it remain. 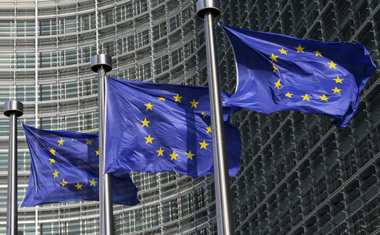 MiFID II is the Commission’s attempt to harmonise securities regulation across the 28 member states of the European Union. Due to be implemented by Q1 2017, the rules introduce new reporting obligations for securities transactions, new requirements for trading venues and participants, and new restrictions on OTC and dark trading, as well as a host of measures designed to improve transparency in both non-equity asset classes and in stocks. But the legislation has had a contentious history, with fierce debate every step of the way since the MiFID review began in 2009. Even now, the rules are far from finalised. Hemsley added that the additional overheads for Multilateral Trading Facilities and Organised Trading Facilities would be “phenomenal”, due to the reporting requirements, record keeping on individuals and co-location requirements. Part of the solution, he suggested, would be to ensure open access to clearing, trading and central securities depositories, so that costs could be kept down. Other suggestions raised in the debate include the creation of a cross-market utility, owned by both the buy-side and the sell-side, which would provide a consolidated tape of post-trade data. Although MiFID II provides for the creation of such a tape in the absence of an industry effort to create one, at present the initiative has been left up to tender. Some participants even proposed that a similar model could be applied to trading venues. Other speakers emphasised the need to prepare now, rather than to wait for further clarity on the regulation. Although MiFID II’s technical standards are still being decided, the level one text has now been agreed and will not change between now and implementation day. Level one consists of the overall principles and concepts, while level two covers the technical details. Hotspot, the institutional foreign exchange market owned and operated by BATS Global Markets, is to expand its European presence with the launch of its first Europe-based FX matching engine later this year. The new matching engine will be located in the London Slough Campus data centres and will target Europe and Asia and specific FX currencies that dominate the European and Asian trading hours. Exchanges: time for a rebuild? Technical problems at Nasdaq and BATS have reinforced the impression among many market observers that there may be something seriously wrong with equity market structure. Recent history reads like a catalogue of disaster for many of the world’s most prominent trading venues.